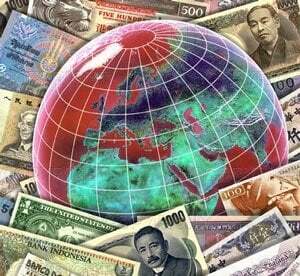 The BIS, is, without a doubt, the most important, powerful, and secretive financial institution in the world. It’s warnings should not be taken lightly, as it would be the one institution in the world that would be privy to such information more than any other. Worldwide, central banks have pumped thousands of billions of dollars of new money into the financial system over the past two years in an effort to prevent a depression. Meanwhile, governments have gone to similar extremes, taking on vast sums of debt to prop up industries from banking to car making. The BIS further warned of inflation, saying that, “The big and justifiable worry is that, before it can be reversed, the dramatic easing in monetary policy will translate into growth in the broader monetary and credit aggregates.” That will “lead to inflation that feeds inflation expectations or it may fuel yet another asset-price bubble, sowing the seeds of the next financial boom-bust cycle.” With the latest report on the derivatives bubble being created, it has become painfully clear that this is exactly what has happened: the creation of another asset-price bubble. The problem with bubbles is that they burst. The Financial Times reported that William White, former Chief Economist at the BIS, also “argued that after two years of government support for the financial system, we now have a set of banks that are even bigger – and more dangerous – than ever before,” which also, “has been argued by Simon Johnson, former chief economist at the International Monetary Fund,” who “says that the finance industry has in effect captured the US government,” and pointedly stated: “recovery will fail unless we break the financial oligarchy that is blocking essential reform.” [Emphasis added]. The derivatives market represents a massive threat to the stability of the global economy. However, it is one among many threats, all of which are related and intertwined; one will set off another. The big elephant in the room is the major financial bubble created from the bailouts and “stimulus” packages worldwide. This money has been used by major banks to consolidate the economy; buying up smaller banks and absorbing the real economy; productive industry. The money has also gone into speculation, feeding the derivatives bubble and leading to a rise in stock markets, a completely illusory and manufactured occurrence. The bailouts have, in effect, fed the derivatives bubble to dangerous new levels as well as inflating the stock market to an unsustainable position. However, a massive threat looms in the cost of the bailouts and so-called “stimulus” packages. The economic crisis was created as a result of low interest rates and easy money: high-risk loans were being made, money was invested in anything and everything, the housing market inflated, the commercial real estate market inflated, derivatives trade soared to the hundreds of trillions per year, speculation ran rampant and dominated the global financial system. Hedge funds were the willing facilitators of the derivatives trade, and the large banks were the major participants and holders. At the same time, governments spent money loosely, specifically the United States, paying for multi-trillion dollar wars and defense budgets, printing money out of thin air, courtesy of the global central banking system. All the money that was produced, in turn, produced debt. By 2007, the total debt – domestic, commercial and consumer debt – of the United States stood at a shocking $51 trillion. 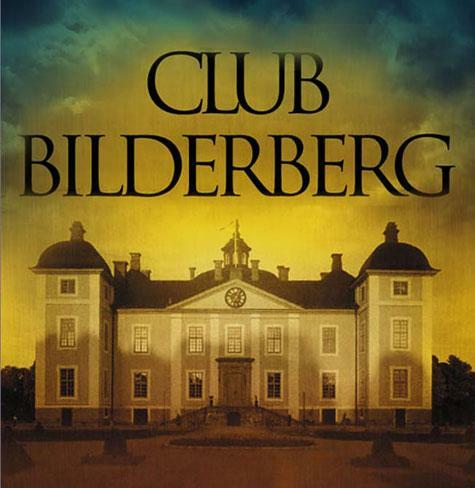 In May of 2009, I wrote an article covering the Bilderberg meeting of 2009, a highly secretive meeting of major elites from Europe and North America, who meet once a year behind closed doors. Bilderberg acts as an informal international think tank, and they do not release any information, so reports from the meetings are leaked and the sources cannot be verified. However, the information provided by Bilderberg trackers and journalists Daniel Estulin and Jim Tucker have proven surprisingly accurate in the past. Estulin reported on a leaked report he claimed to have received following the meeting, which reported that there were large disagreements among the participants, as “The hardliners are for dramatic decline and a severe, short-term depression, but there are those who think that things have gone too far and that the fallout from the global economic cataclysm cannot be accurately calculated.” However, the consensus view was that the recession would get worse, and that recovery would be “relatively slow and protracted,” and to look for these terms in the press over the next weeks and months. Sure enough, these terms have appeared ad infinitum in the global media. Could the general perception of an economy in recovery be the manifestation of the Bilderberg plan in action? Well, to provide insight into attempting to answer that question, we must review who some of the key participants at the conference were. Many central bankers were present, as per usual. Among them, were the Governor of the National Bank of Greece, Governor of the Bank of Italy, President of the European Investment Bank; James Wolfensohn, former President of the World Bank; Nout Wellink, President of the Central Bank of the Netherlands and is on the board of the Bank for International Settlements (BIS); Jean-Claude Trichet, the President of the European Central Bank was also present; the Vice Governor of the National Bank of Belgium; and a member of the Board of the Executive Directors of the Central Bank of Austria. Finance Ministers and officials also attended from many different countries. Among the countries with representatives present from the financial department were Finland, France, Great Britain, Italy, Greece, Portugal, and Spain. There were also many representatives present from major media enterprises around the world. These include the publisher and editor of Der Standard in Austria; the Chairman and CEO of the Washington Post Company; the Editor-in-Chief of the Economist; the Deputy Editor of Die Zeit in Germany; the CEO and Editor-in-Chief of Le Nouvel Observateur in France; the Associate Editor and Chief Economics Commentator of the Financial Times; as well as the Business Correspondent and the Business Editor of the Economist. So, these are some of the major financial publications in the world present at this meeting. Naturally, they have a large influence on public perceptions of the economy. Heavy representation at the Bilderberg meeting also came from members of the Obama administration who are tasked with resolving the economic crisis. Among them were Timothy Geithner, the US Treasury Secretary and former President of the Federal Reserve Bank of New York; Lawrence Summers, Director of the White House’s National Economic Council, former Treasury Secretary in the Clinton administration, former President of Harvard University, and former Chief Economist of the World Bank; Paul Volcker, former Governor of the Federal Reserve System and Chair of Obama’s Economic Recovery Advisory Board; Robert Zoellick, former Chairman of Goldman Sachs and current President of the World Bank. Unconfirmed were reports of the Fed Chairman, Ben Bernanke being present. However, if the history and precedent of Bilderberg meetings is anything to go by, both the Chairman of the Federal Reserve and the President of the Federal Reserve Bank of New York are always present, so it would indeed be surprising if they were not present at the 2009 meeting. I contacted the New York Fed to ask if the President attended any organization or group meetings in Greece over the scheduled dates that Bilderberg met, and the response told me to ask the particular organization for a list of attendees. While not confirming his presence, they also did not deny it. However, it is still unverified. Naturally, all of these key players to wield enough influence to alter public opinion and perception of the economic crisis. They also have the most to gain from it. However, whatever image they construct, it remains just that; an image. The illusion will tear apart soon enough, and the world will come to realize that the crisis we have gone through thus far is merely the introductory chapter to the economic crisis as it will be written in history books. The warnings from the Bank for International Settlements (BIS) and its former Chief Economist, William White, must not be taken lightly. Both the warnings of the BIS and William White in the past have gone unheralded and have been proven accurate with time. Do not allow the media-driven hope of ‘economic recovery’ sideline the ‘economic reality.’ Though it can be depressing to acknowledge; it is a far greater thing to be aware of the ground on which you tread, even if it is strewn with dangers; than to be ignorant and run recklessly through a minefield. Ignorance is not bliss; ignorance is delayed catastrophe. For an overview of the coming financial crises, see: "Entering the Greatest Depression in History: More Bubbles Waiting to Burst," Global Research, August 7, 2009. This entry was posted on Monday, October 5th, 2009 at 6:36 am and is filed under Phil's Favorites. You can leave a response, or trackback from your own site.